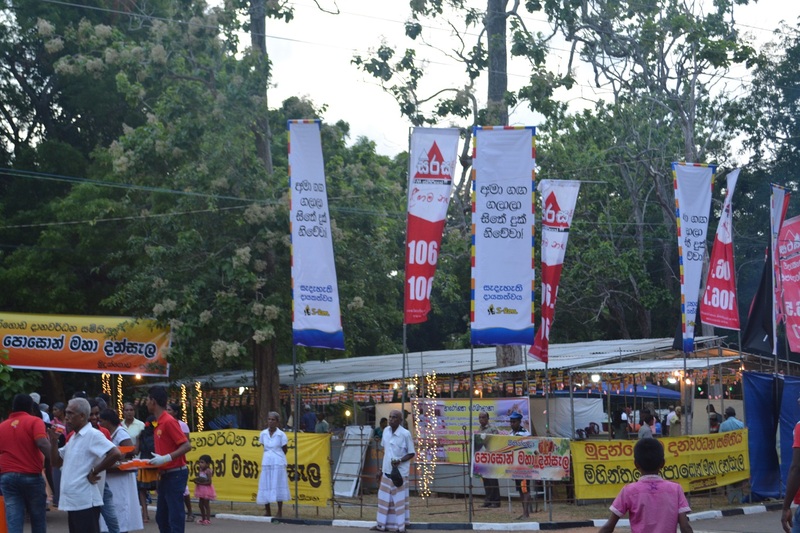 The widely acclaimed 2018 Poson Kalapaya was held at the premises of Mihintalaya Raja Maha Viharaya on the 26th, 27th and 28th of June 2018. Members of the Maha Sanga and a large number of devotees were present at the inauguration ceremony. S-lon Lanka Pvt. Ltd joined the sanctified Mihidhu perahara procession enroute from Mihintale Raja Maha Viharaya to Katu Seya where devotees were seen lined up along the route to pay reverence to the Relics. On the following day (27th ) ,Aloka poojawa was held at Mihintale temple. During all three days of Poson Kalapaya, people paid homage to the sacred Dathu, which was on display for the pilgrims. The event was graced by Honorable President, Honorable Prime Minister, other prominent Ministers, Mr. S.C. Weerasekera - Group Director of The Capital Maharaja Organisation Limited, and the famed announcer Priyantha Wijesinghe from Sirasa Tv.